Here’s some breaking news… I’m delighted to report that I will be writing the 4th novel in the continuation of The 39 Clues: Cahill vs. Vespers. This is going to be a blast! Here’s the Press Release from Scholastic. NEW YORK, NY (September 23, 2010) – Following the global success of the bestselling multi-media adventure series The 39 Clues®, Scholastic (NASDAQ: SCHL) announced today that it will launch The 39 Clues: Cahills vs. Vespers, a continuation of the popular franchise that combines books, cards, and an interactive online game where kids ages 8-12 play a role in the story. The 39 Clues: Cahills vs. Vespers will begin on April 5, 2011 with the publication of “Vespers Rising,” a novel written by New York Times bestselling authors Rick Riordan, Peter Lerangis, Gordon Korman, and Jude Watson. “Vespers Rising” will release simultaneously in hardcover, e-book, and audio format in the United States, United Kingdom, Canada, Australia, New Zealand, Malaysia, India, and the Philippines. Internationally-acclaimed and bestselling author David Baldacci will write the final book in The 39 Clues: Cahills vs. Vespers series. There are currently more than 8.5 million copies in print of the first 10-book The 39 Clues series which launched in 2008. Starting with “Vespers Rising,” The 39 Clues: Cahills vs. Vespers series will be published over a 24-month period and will continue with six more installments written by a team of bestselling and award-winning authors, including Gordon Korman (August 2011), Jude Watson (December 2011), Peter Lerangis (March 2012), Roland Smith (August 2012), and Linda Sue Park (December 2012). The final book in the series, written by David Baldacci, will be published in March 2013. The 39 Clues Cahills vs. Vespers is a fully-integrated multi-media reading experience spanning books, cards, and an immersive online game on www.the39clues.com. Each book will contain collectible “evidence” cards that unlock online missions and include puzzles, mini-games, and interactive stories. In addition, two card packs, each with sixteen collectible game cards that further the story, will be published in August 2011 and August 2012. The 39 Clues online game, which has more than 1.2 million registered users to date, will add new interactive features including a moderated online message forum, allowing kids around the world to interact with each other for the first time on the site. Within the world of The 39 Clues, the Cahills are the most powerful family the world has ever known, secretly dominating every area of human endeavor over the past 500 years. The source of their power has been lost, hidden in 39 Clues scattered around the world. In The 39 Clues: Cahills vs. Vespers, the Cahills discover they’re not the only ones who have been searching for the Clues. The Vespers, a ruthless cabal lurking in the shadows for their turn to stomp across the world stage, have also been hunting for the source of ultimate power. The Cahill family must unite to protect the Clues, and the world, against the Vespers, who have sinister plans darker than the Cahills could ever imagine, dating back to the mysteries of ancient times. The 39 Clues series launched on September 9, 2008, with “Book 1: The Maze of Bones” by Rick Riordan, which debuted at #1 on the New York Times bestseller list. On December 2, 2008, “Book 2: One False Note” by Gordon Korman was released and also debuted at #1 on the New York Times bestseller list. Since then, the series, including “Book 3: The Sword Thief” by Peter Lerangis (March 3, 2009), “Book 4: Beyond the Grave” by Jude Watson (June 2, 2009), “Book 5: The Black Circle” by Patrick Carman (August 11, 2009), “Book 6: In Too Deep” by Jude Watson (November 3, 2009), “Book 7: The Viper’s Nest” (February 2, 2010) by Peter Lerangis, “Book 8: The Emperor’s Code” (April 6, 2010) by Gordon Korman, “Book 9: Storm Warning” (May 25, 2010) by Linda Sue Park, and “Book 10: Into the Gauntlet” (August 31, 2010) by Margaret Peterson Haddix, have appeared on the New York Times, USA Today, Publishers Weekly, and Wall Street Journal bestseller lists. In addition to the ten-book arc, Scholastic announced that it will publish “The 39 Clues: The Black Book of Buried Secrets,” the ultimate guidebook to the world of The 39 Clues with an introduction by Rick Riordan, on October 26, 2010. The 39 Clues has been licensed for publication in 24 languages including Swedish, Japanese, Italian, Chinese, German, Greek, and Hebrew. 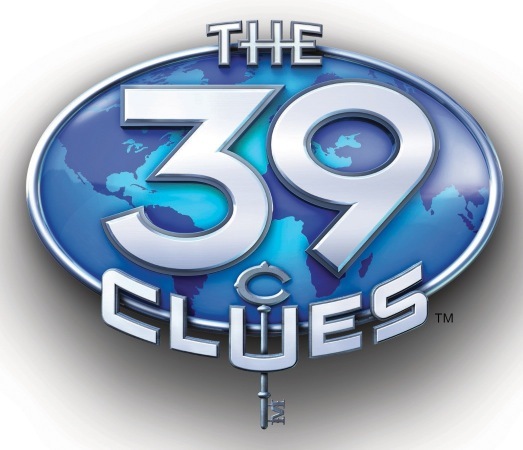 Movie rights for The 39 Clues have been acquired by DreamWorks Studios with Steven Spielberg eyeing to direct and Deborah Forte of Scholastic Media producing. The script is being penned by Jeff Nathanson whose credits include “Catch Me If You Can” and “Rush Hour 2.” Scholastic Media recently launched the The 39 Clues Madrigal Maze App for the iPhone™ and iPod touch®, which has been ranked among the top “Paid Kids Games” on the App Store since release. Congratulations Roland! That is awesome news. You are the perfect choice to write as part of the series. You must be floating on air. Congratulations! Great! I am just now finishing up the first series and wondering what will happen next now I know the series will continue to grow. Can’t wait! ← National Book Festival, Washington DC, September 25th.